Come out and experience art history in a fun, educational, and tasty way. 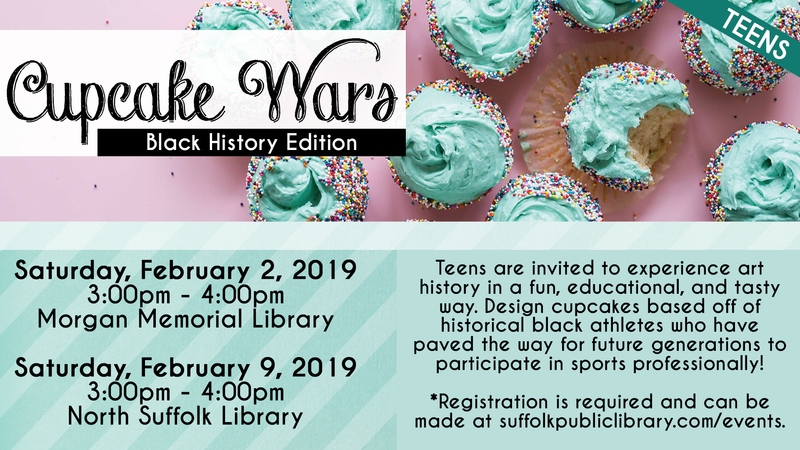 Teens will design cupcakes based off of historical black athletes who have paved the way for future generations to participate in sports professionally. So tie up your aprons and come decorate away. SPL events are free to attend and open to people of all abilities. If you or someone in your party will require accommodations in order to participate, please contact the library. You do not need to be a library member in order to attend.